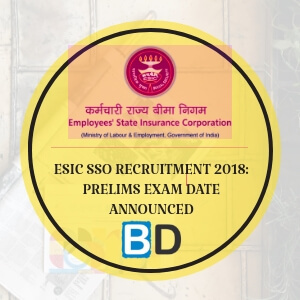 The Exam season is getting intensified at the moment with the inclusion and release of various notifications from various banking and other public sector organizations. The pattern of the exams are different for different exams and the preparations for the particular exam has to be in such a way that the exams can be cracked with the preparation strategy. 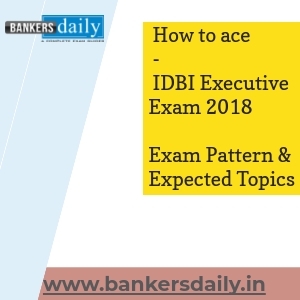 Please Note that , We will post the review of the IDBI Executive Exam 2018 in our Bankersdaily Website and we will try to feature the Questions asked in the Exam in our YouTube Channel too. 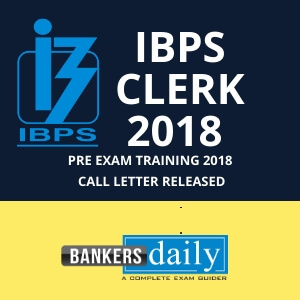 Alternately, Aspirnats can share the Questions asked in the IDBI Exam – Executive 2018 in our BANKERSDAILY – TELEGRAM Super group. So preparation strategy plays an important role in the exams for every aspirants. Many of the candidates who are preparing for the exams will be preparing in such a way that they will obtain the minimum cutoff marks and then will project their vision towards cementing their marks for the overall marks. The Overall marks will decide the date of the candidates , as many exams consider the mains exam marks for the final selection. 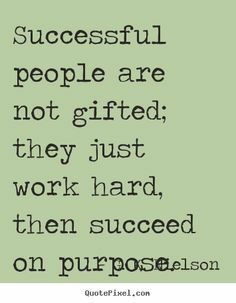 So this is vital and every aspirant should work hard to attain maximum marks in the exams. IDBI has released the notification for the posts of Executives for a total vacancies of 760 which is split among the many categories. So here is the split up of the vacancies in the table given below. Since there is no Current Affairs and banking Awareness Topics involved, aspirants can expect a sigh of relief and can make their preparations in a different way. Other Important Topics which can be possibly asked in the Miscellaneous Sections can be found below. So these are the Topics which could find the space in the IDBI EXECUTIVES EXAM 2018, our team will also be sharing the questions for various sections in the Exam in the forthcoming days. Aspirants can check the official notification of the IDBI Executive Exam 2018 from the link given below.